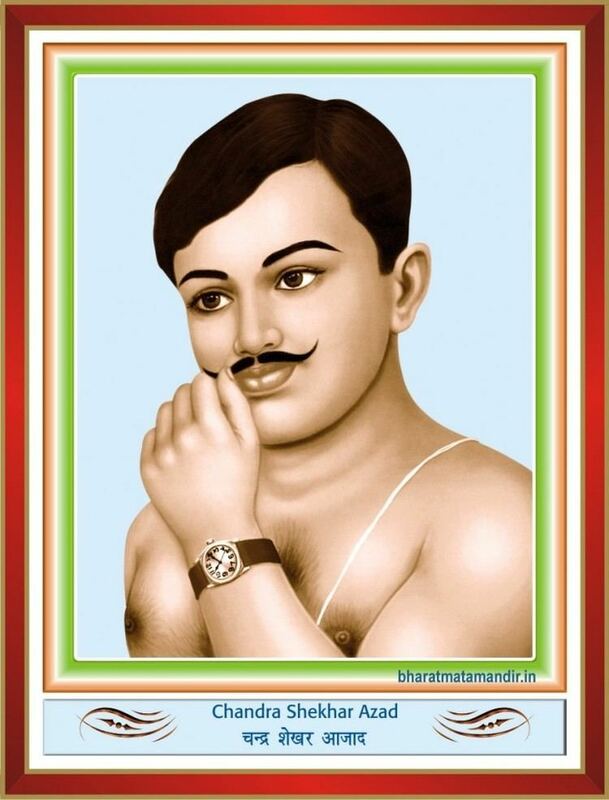 Chandra Shekhar Azad ( /t͡ʃʌnd̪ɾʌː ʃeːkʰʌr ɑːzɑːd/; first name also commonly spelt Chandrashekhar and Chandrasekhar; 23 July 1906 – 27 February 1931), popularly known as Azad ("The Free"), was an Indian revolutionary who reorganised the Hindustan Republican Association under its new name of Hindustan Socialist Republican Association (HSRA) after the death of its founder, Ram Prasad Bismil, and three other prominent party leaders, Roshan Singh, Rajendra Nath Lahiri and Ashfaqulla Khan. Azad was born as Chandrashekhar Tiwari on 23 July 1906 in Bhavra village, in the present-day Alirajpur district of Madhya Pradesh. His forefathers were from Badarka village near Kanpur (in present-day Unnao District). His mother, Jagrani Devi, was the third wife of Sitaram Tiwari, whose previous wives had died young. After the birth of their first son, Sukhdev, in Badarka, the family moved to Alirajpur State. His mother wanted her son to be a great Sanskrit scholar and persuaded his father to send him to Kashi Vidyapeeth, Banaras, to study. In December 1921, when Mohandas K. Gandhi launched the Non-Cooperation Movement, Chandra Shekhar, then a 15-year-old student, joined. As a result, he was arrested. On being produced before a magistrate, he gave his name as "Azad" (The Free), his father's name as "Swatantrata" (Independence) and his residence as "Jail". 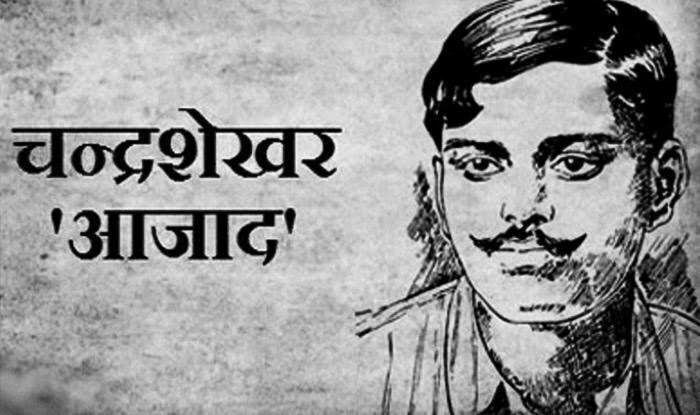 From that day he came to be known as Chandra Shekhar Azad among the people. After suspension of the non-cooperation movement in 1922 by Gandhi, Azad became more aggressive. He met a young revolutionary, Pranvesh Chatterji, who introduced him to Ram Prasad Bismil who had formed the Hindustan Republican Association (HRA), a revolutionary organisation. Bismil was impressed by Azad, when Azad reportedly put his hand over a lamp and did not remove it till his skin burnt. He then became an active member of the HRA and started to collect funds for HRA. Most of the fund collection was through robberies of government property. He also wanted to build a new India based on socialist principles. He was involved in the Kakori Train Robbery of 1925, in the attempt to blow up the Viceroy's train in 1926, and at last the shooting of J.P. Saunders at Lahore in 1928 to avenge the killing of Lala Lajpat Rai. Despite being a member of Congress, Motilal Nehru regularly gave money in support of Azad. Azad made Jhansi his organisation's hub for some time. He used the forest of Orchha, situated 15 kilometres (9.3 mi) from Jhansi, as a site for shooting practice and, being an expert marksman, he trained other members of his group. He built a hut near to a Hanuman temple on the banks of the Satar River and lived there under the alias of Pandit Harishankar Brahmachari for a long period. He taught children from the nearby village of Dhimarpura (now renamed Azadpura by the Government of Madhya Pradesh)) and thus managed to establish good rapport with the local residents. While living in Jhansi, he also learned to drive a car at Bundelkhand Motor Garage in Sadar Bazar. Sadashivrao Malkapurkar, Vishwanath Vaishampayan and Bhagwan Das Mahaur came in close contact with him and became an integral part of his revolutionary group. The then congress leaders from Raghunath Vinayak Dhulekar and Sitaram Bhaskar Bhagwat were also close to Azad. He also stayed for sometime in the house of Rudra Narayan Singh at Nai Basti, as well as Bhagwat's house in Nagra. The Hindustan Republican Association (HRA) was formed by Bismil, Chatterji, Sachindra Nath Sanyal and Shachindra Nath Bakshi in 1924. In the aftermath of the Kakori train robbery in 1925, the British clamped down on revolutionary activities. Prasad, Ashfaqulla Khan, Thakur Roshan Singh and Rajendra Nath Lahiri were sentenced to death for their participation. Azad, Keshab Chakravarthy and Murari Sharma evaded capture. 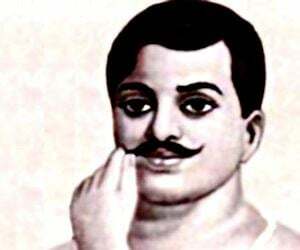 Chandra Shekhar Azad later reorganized the HRA with the help of revolutionaries like Sheo Verma and Mahaveer Singh. Azad was also a close associate of Bhagwati Charan Vohra who along with Bhagat Singh, Sukhdev, and Rajguru, helped him to transform the HRA into the HSRA in 1928 so as to achieve their primary aim of an independent India based on socialist principle. Azad died at Alfred Park in Allahabad on 27 February 1931. The police surrounded him in the park after an unknown informer told them he was there. He was wounded in the process of defending himself and Sukhdev Raj and killed three policemen and wounded some others. His actions made it possible for Sukhdev Raj to escape. After a long shootout, holding true to his pledge to never be captured alive, he shot himself dead with his last bullet.The Colt pistol of Chandra Shekhar Azad is displayed at the Allahabad Museum. The body was sent to Rasulabad Ghat for cremation without informing general public. As it came to light, people surrounded the park where the incident had taken place. They chanted slogans against the British rule and praised Azad. Alfred Park in Allahabad, where Azad died, has been renamed Chandrashekhar Azad Park. Several schools, colleges, roads and other public institutions across India are also named after him. Starting from Manoj Kumar's 1965 film Shaheed, many films have featured the character of Azad. Sunny Deol portrayed Azad in the movie 23rd March 1931: Shaheed. In the movie The Legend of Bhagat Singh, starring Ajay Devgan, Azad was portrayed by Akhilendra Mishra. The lives of Azad, Bhagat Singh, Rajguru, Bismil and Ashfaq were depicted in the 2006 film Rang De Basanti, with Aamir Khan portraying Azad. The movie, which draws parallels between the lives of young revolutionaries such as Azad and Bhagat Singh, and today's youth, also dwells upon the lack of appreciation among today's Indian youth for the sacrifices made by these men.